This particular item isn’t for sale in the Crochet Kitty Etsy shop, so I’ve estimated the value based on similar toys. This was a particular hit with Angus. In general, I am happy to see wands with dangly things on strings in cat subscription boxes as usually at least one cat (and sometimes 2 or 3) will have a lot of fun with it. These are a cat subscription box mainstay. They’re a little on the large side for cat treats, and they’re hard, which means the cats have to chew them up to eat them. So I am careful and feed them to Sneaky one at a time (she tries to snarf a whole bunch down at once and that doesn’t work). In general, Madison, Sneaky, and Angus like these quite a bit. You can put food in here (up to 2/3 cup) and your cat can eat it as it falls out while playing. However, we are using this as a treat dispenser. I can’t have random kibbles on the floor or Mr. Kitty will eat them and that’s not good for his IBD. So, supervised play only. Madison is the only cat who understands this toy (as usual) and the other cats hover and steal from him (so I make sure to give him a few treats on his own, as well). We have one of these in yellow from Cat Claws Club. Angus thinks that one is awesome (even after a few months) and he seems pretty happy with this one, too. This is a felt toy with a catnip-stuffed head. It is apparently easy to toss around based on where I find it in the house (it travels far…). The eyes seem pretty firmly attached. These are hand crocheted from furry yarn and there’s a bell inside. Thankfully the bell is not too annoying (the MOST annoying ones always get found by someone in the middle of the night…). 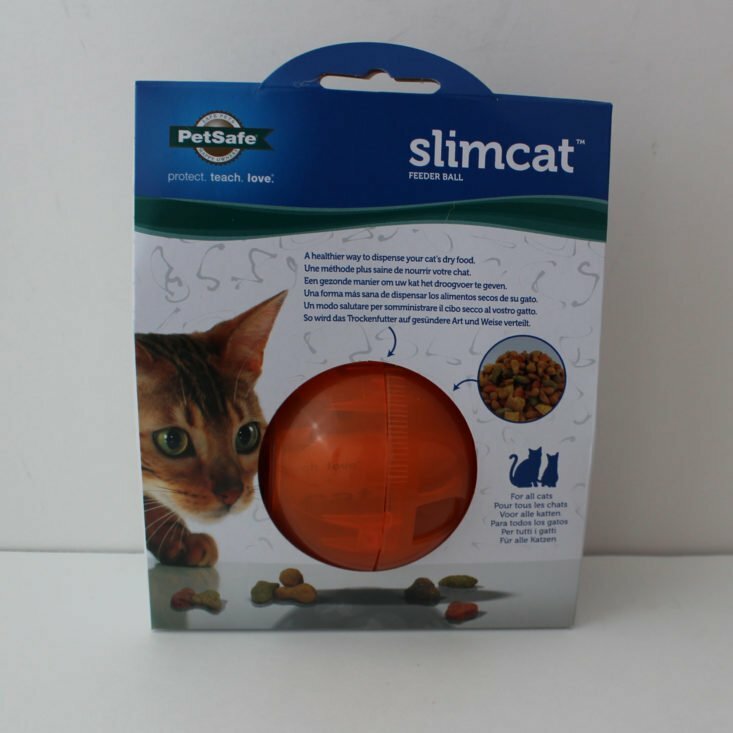 This is an excellent size for my cats (about 1.5” in diameter) and the texture fascinates several of them. I love this picture of Angus. Angus wanted to play with the wand, but only on the stairs, where it was really hard to take a photo. I also like this picture, though it was more fun to see in real life. He’s got one claw out, do you see it? Madison spent a long time sniffing this fish toy. Monkey will sniff anything you hold up to him. And you can’t review an orange-themed cat subscription box without a few pictures of an orange cat! Verdict: I calculated a value of $28.43 for the January Pet GiftBox for cats. I did have to estimate some of the values but I think the overall value turned out all right, even if I’m off by a little since a month-to-month subscription is $25 and cat subscription box values often run low. I was surprised at how well the orange theme worked, with a variety of different toy types, sizes, and textures. Can you still get this box if you sign up today? No, your first box would be February’s (though check the Pet Gift Box shop as sometimes old boxes show up there). What do you think of the January Pet GiftBox? 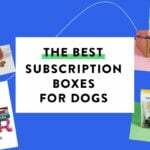 Do you subscribe to any dog or cat boxes?